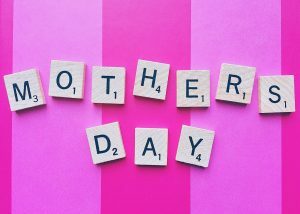 From all of us at Longmeadow Family Dental Care, we would like to take this moment to thank all of the wonderful moms out there! Enjoy your Day! From all of us at Longmeadow Family Dental Care, we would like to take this moment to thank all of the wonderful moms out there! May you be blessed for the ways in which you’ve invested your time and love to those around you. We would like to extend our sincerest appreciation to every mother on this special day! Happy Mother’s Day from the dentists at Longmeadow Family Dental Care! Enjoy your special day! Term used to describe one of the ways the secondary carrier may calculate its portion of the payment if a patient is covered by two benefit plans. The secondary carrier calculates what it would have paid if it were the primary plan and subtracts what the other plan paid. For example, if the primary carrier paid 80 percent, and the secondary carrier normally covers 80 percent as well, the secondary carrier would not make any additional payment. If the primary carrier paid 50 percent, however, the secondary carrier would pay up to 30 percent.